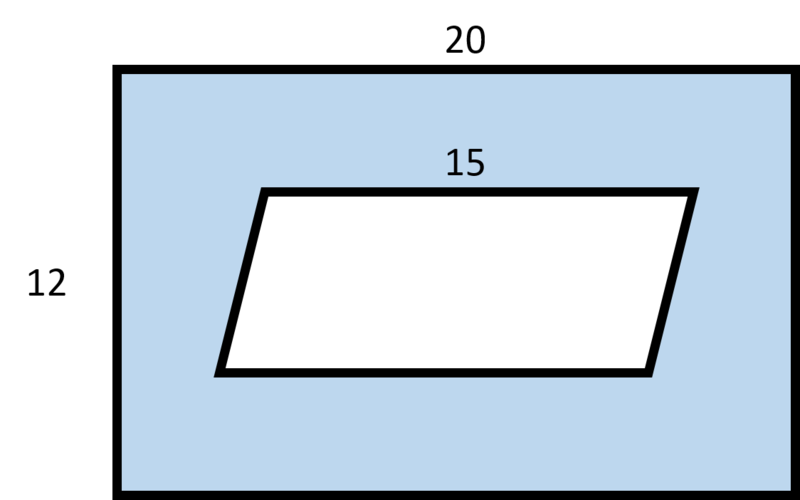 If the height of the parallelogram is half of the length of the rectangle, then find the area of the shaded region in the figure. In order to find the area of the shaded region, we must first find the areas of the rectangle and parallelogram. Substitute in the given length and height to find the area of the rectangle. Next, find the area of the parallelogram. Substitute in the length of the rectangle to find the height of the parallelogram. 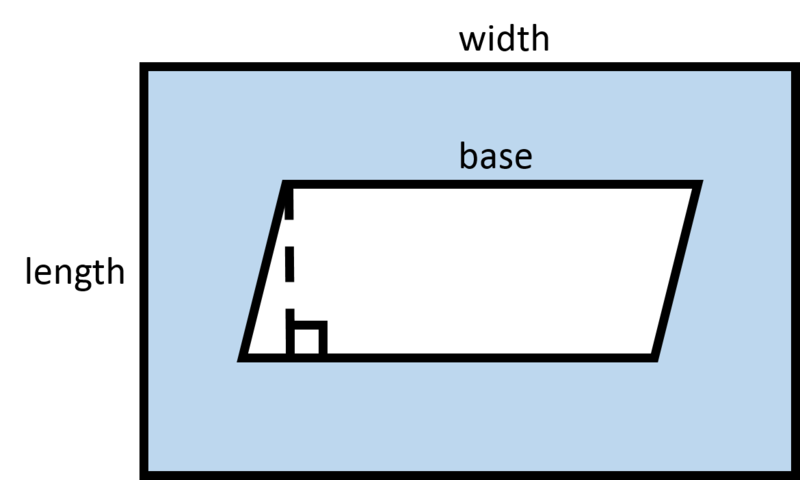 Now, substitute in the height and the given length of the base to find the area of the parallelogram. Now, we are ready to find the area of the shaded region by subtracting the area of the parallelogram from the area of the rectangle. 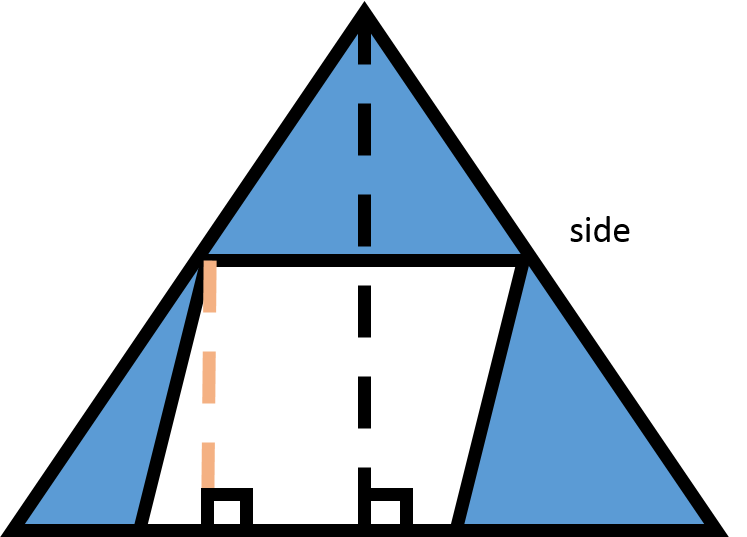 In the figure, the height of the parallelogram is half the height of the equilateral triangle. Find the area of the shaded region. First, we will need to find the height of the equilateral triangle. Use the given side length of the equilateral triangle in order to find the length of the height. Now, find the area of the equilateral triangle. Now, use the height of the equilateral triangle to find the height of the parallelogram. 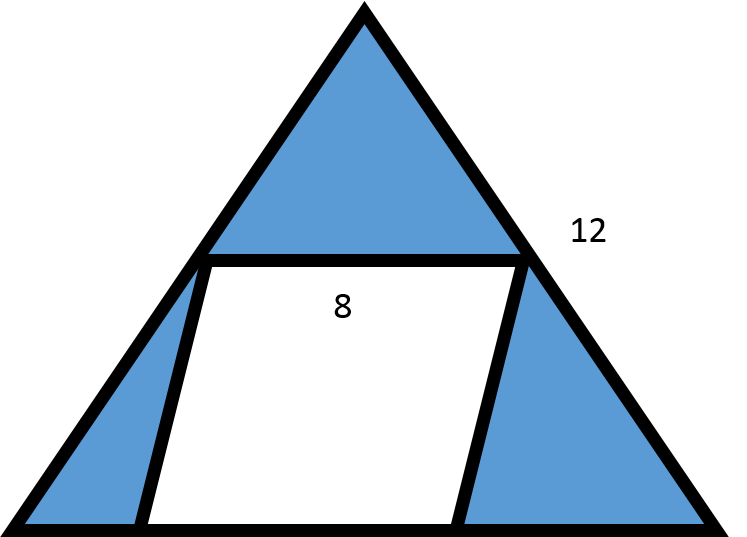 Now, from the figure, we can see that we will need to subtract the area of the parallelogram from the area of the triangle in order to find the area of the shaded region.